Clonlara School requires that the following credits be completed in order to graduate: Carnegie units establish 180 hours of documented work for 1 credit unit. Many courses are broken into semester segments of 90 hours or .5 credit. Before enrolling as a Senior in the Off-Campus or Online Program, please read Clonlara’s Senior Class Enrollment Policy. Clonlara’s ceremony is a personal and heartwarming celebration. When receiving their diploma, graduates and their families are encouraged to share their reflections on their Clonlara School experience. Students have recited poetry, sung, played music, done aerobics on stage, and even ridden a horse up to the podium to receive the diploma. Join us! To request a copy of your Clonlara transcript, please complete the form below. Include additional information that may assist us in preparing your transcript. All transcripts are mailed via United States Postal Service; Clonlara School cannot guarantee delivery. Official transcripts will be mailed to an institution/employer directly. Students and families may receive a student copy. 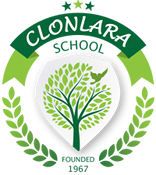 Clonlara School will process your request in 7 - 10 business days. Please submit a separate form if you require more than 5 transcripts. Only non-official copies of transcripts are issued to students and their families. Official copies of transcripts (with the Clonlara seal) are ONLY sent to other schools or institutions and cannot be sent to students or their families. Please allow 7-10 business days to process requests. You will receive a confirmation email from a clonlara.org address. If you have not received confirmation within 10 business days, please check your junk mail folder. If you do not find it, please contact us. Transcript request for students 18 or older must come directly from the student. The TerraNova is an optional, standardized test available to students each spring. It is produced by CTB/McGrawHill. Please Note: Clonlara does not require standardized testing. “Standardized” means that the test is always given and scored the same way. The same questions are asked and the same directions are given for each test. Specific time limits are set and each student’s performance may be compared with that of all the other students taking the same test. Some state regulations require homeschooled students to take a standardized test. Some students like to do so to get a sense of how they’re doing compared to students in traditional school settings. What Does the TerraNova Test Cover? For students in Grades 1–12 it tests objective/mastery in Reading/ Language Arts, Mathematics, Science and Social Studies. The Kindergarten version tests only for Reading/Language Arts and Mathematics. The TerraNova is taken by our students at their homes and is proctered by a parent or other qualified individual. Specific guidelines, issued by CTB/McGraw-Hill, must be followed in order to administer the test. In states or districts where tests must be given as required by law, further requirements may be in effect. Often this involves hiring a certified teacher to proctor the test. Please make yourself aware of your school district or state regulations. February: Test orders due to Clonlara. March: Test materials mailed out to families. April: Completed tests due back to Clonlara and sent to CTB/McGraw-Hill for scoring. Mid-June: CTB/McGraw-Hill sends test results to Clonlara. Copies of test results are mailed to families and placed in students’ official cumulative file folders. In accordance with PA 207, Clonlara School has a written emergency response policy and a drill schedule. Below you will find the required posting of upcoming and performed drills. Clonlara School is 501(c)3 organizationa and all gifts are tax-deductible.